Tiki Paradise at Fly Casino is a new 5-reel, 10-line slot that is filled with outstanding new slot features! 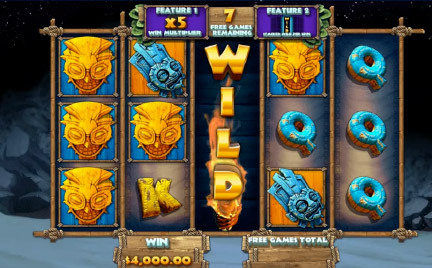 Based on a Polynesian theme, this stunning new games offers the Wild Nights feature whereby you choose a feature window. If the stacked wild symbols lands in your featured window, the reels will shuffle to give you the best possible winning combo. There’s also a Free Games feature where you get 10 free spins and again, you decide from two modifiers with a multiplier or one stacked wild per free spin or consecutive symbol wins. You can also unlock two more modifiers with 20 more free spins and combinations without the lower value symbols. Lastly, there’s a Hi Roller feature where you get FIVE spins with a guaranteed stacked wild. That feature is a pure gamble, but really fun if you hit it just right. Fly Casino offers you one of the very best cash back promotions! 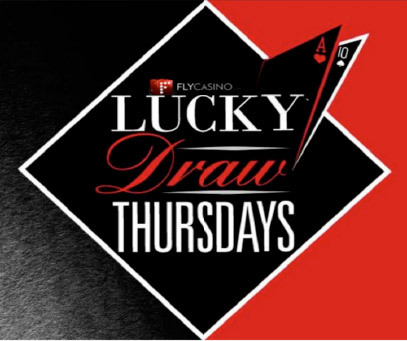 Simply play every Wednesday July 19th and 26th for your chance to win anywhere from 10% to -25% Cashback on Thursday’s for your net cash deposited losses of 50.00 or more made and played on each promotional Wednesday All games apply and you are 100% guaranteed to win back…how much depends on the luck of the draw! Super 120% Bonus. From 00:00GMT until 23:59 GMT, all members on their deposit of just $/£/€10 or more will receive a 120% bonus up to 120.00. 166% Big Money Tuesday! From 00:00GMT until 23:59 GMT, all members are invited to receive a 166% bonus up to $/£/€166.00 on your deposit of just $/£/€10 or more or more.